(CNN) - To some, the thought of asylum-seekers on the US-Mexico border with numbers written in black ink on their arms carries disturbing echoes of the Holocaust. "I hope that yes, with these numbers I will get to the border there and that everything will turn out good." US Congressman Beto O'Rourke brought attention to the numbers in a video he shared on Twitter on Friday. In the video, he speaks to two asylum-seekers in the US-Mexico border city of Juarez with numbers written on their arms. The video garnered more than a million views and outraged comments, many directed at the Trump administration. But officials on both sides of the border said the US and Mexican governments are not responsible for the numbers. It's hard to track down the origin of the system, but it appears to have been created as an unofficial waitlist. 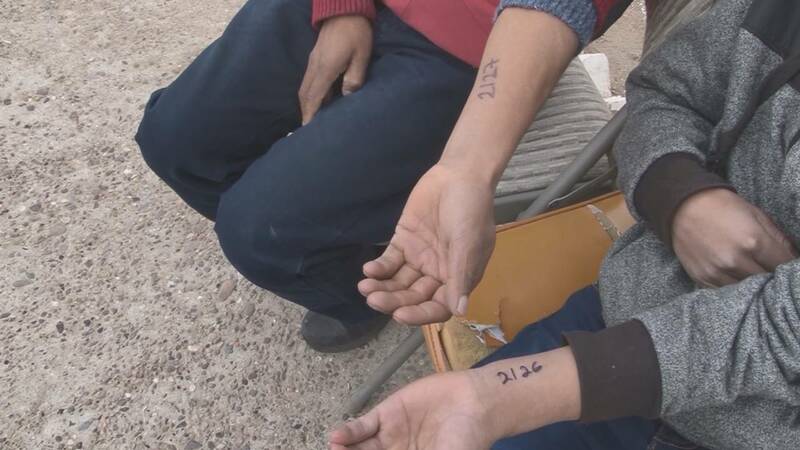 Gabriel Reyes with the Mexican Red Cross in Juarez told CNN that the system was created a few weeks ago to get migrants off the bridge and into shelters, and that migrants themselves wrote the numbers on their arms as a way to prove their place in line for processing. "I think it works in our favor," she told CNN. The written numbers struck a chord with those who oppose the Trump Administration's crackdown on immigration and asylum-seekers. In O'Rourke's video, he said that the woman and her 10-year-old daughter arrived from Guatemala and were seeking asylum in the United States. O'Rourke said that the woman said she had traveled for three weeks to get to Juarez and that she was trying to lawfully petition for asylum. The numbers written on their arm -- 2142 and 2143 -- are in ink and are not tattoos.